I’m not sure what all has been added and when, but it appeared that the visitor information center and the gift shop, as well as the Avenue of Flags and the amphitheater it lead to were all built in the last two decades. None of the areas seemed crowded though, save for the gift shop, which Becky said was just wall to wall people. The entire monument really is built and designed to be a tribute to the founding of the United States of America and the history of the country and its people. The walkway between the visitor center and gift shop to the amphitheater has the flags of each state, with the name of the state and its official year of admission to the union engraved on it. Almost everything except the walkway was made of granite, which really looked good with the ponderosa pines all around. At the top of the amphitheater I took a few minutes to shoot a high resolution panorama that will hopefully stitch nicely. Here’s a scaled-down version of my stitched panorama! Check out Mount Rushmore in super high-resolution. 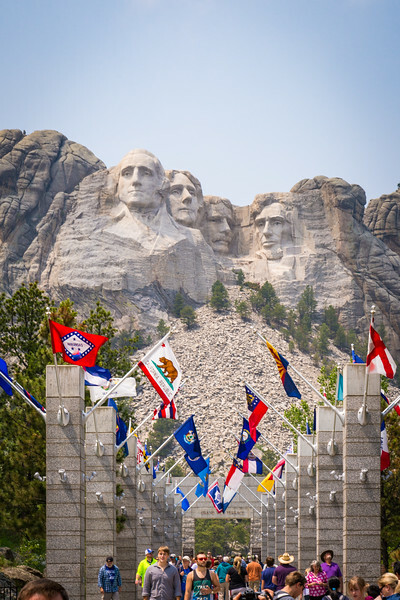 Since I’m not one to just visit a place like this, look at it, take a picture, and leave, we took the Presidential Trail that leads from the top of the amphitheater and up close to the sculpture. There are some very cool angles along the trail, including a profile view where you can look between two rocks and up to George Washington. The entire trail is railed off and most of it is a boardwalk that looks to have been installed within the last ten or twenty years. Judging by the security cameras dotting the place and the number of “RESTRICTED AREA” markers off of the boardwalk, I’d guess it was installed after 9/11 to prevent any vandalism or attacks on the monument. 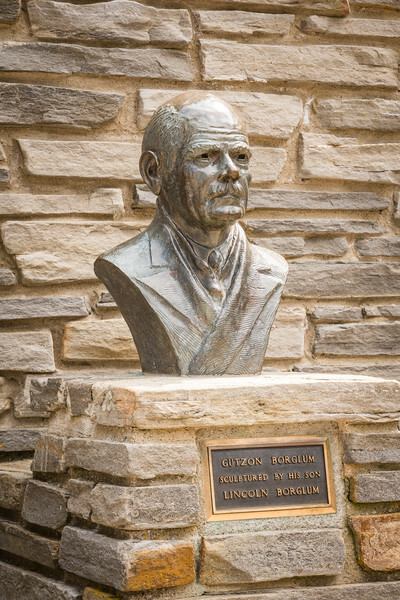 A bust of Gutzon Borglum created by his son, Lincoln Borglum, who also oversaw the final months of construction after his father’s death in 1941. 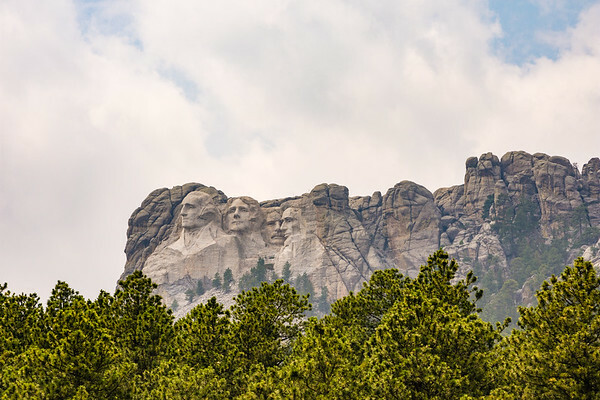 Mount Rushmore was created by Danish-American sculptor Gutzon Borglum, his son, Lincoln, and 400 other workers from 1927 to 1941. 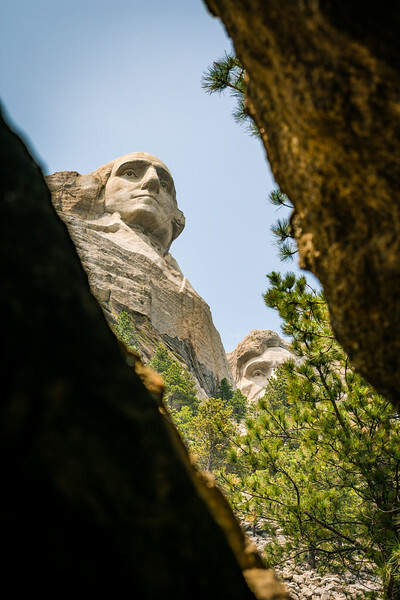 The idea of a sculpture in the Black Hills was conceived of by historian Doane Robinson in 1923 to—you guessed it—draw tourism to South Dakota. 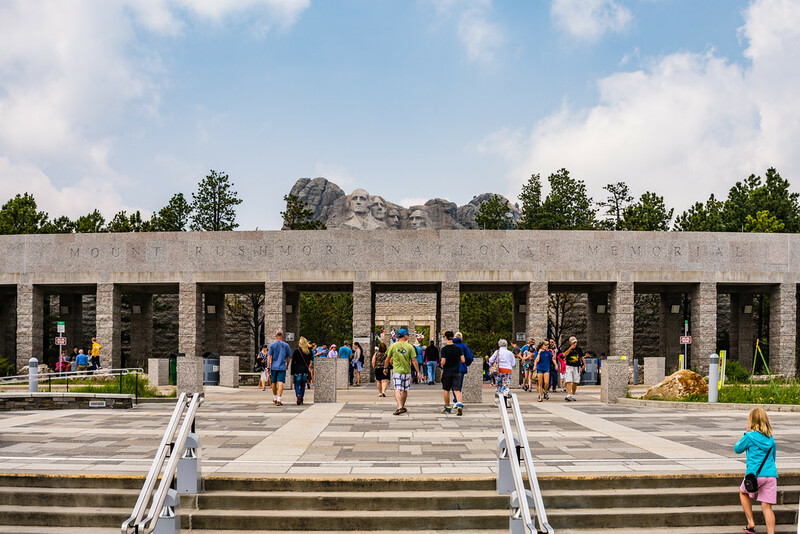 Borglum made several changes to Robinson’s ideas, including the idea of it being a big national memorial and which four presidents would be included. 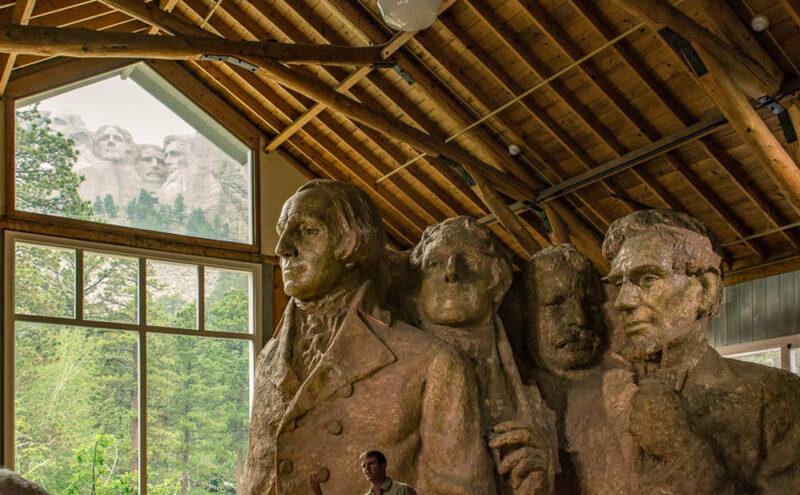 In the end, it all worked—since Mount Rushmore sees over two million visitors each year. On one end of the Presidential Trail you can visit the sculptors house and see one of the giant Ingersol-Rand air compressors that powered the jackhammers used to chisel the mountain. In the sculptors house there is the original prototype of what the mountain was supposed to look like had the sculpture been completed. I never realized the original plan was to depict the four presidents from head to waist, and not just the heads alone! Apparently congress cut funding short, likely for the war effort. Plus Borglum himself died in April of 1941. A few months later, work was concluded, with the completed top of the sculpture considered good enough for government work. A ranger explains how workers used this smaller plaster sculpture as a reference to sculpt the mountain. Gutzon Borglum created it to scale so that his men could climb up on ladders to study and feel it—to understand how they should use their jackhammers and dynamite to duplicate it on the monument. The scenery above Wind Cave is also spectacular! 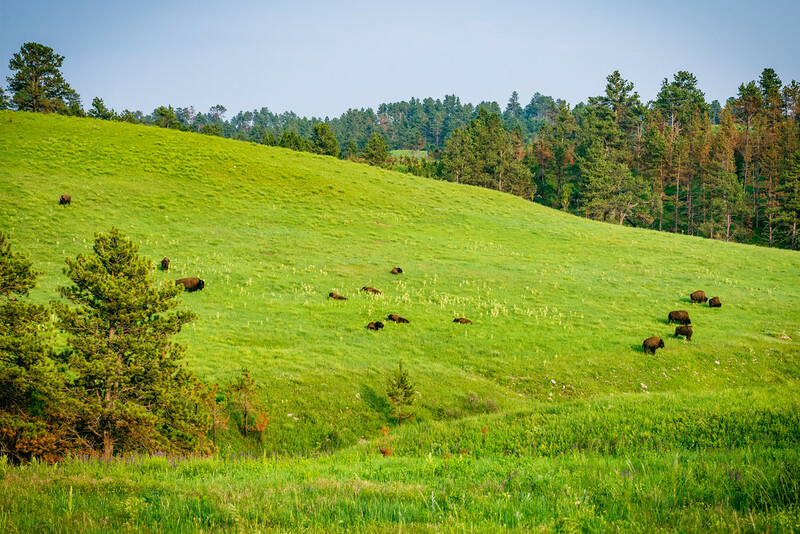 After departing Mount Rushmore, we headed south to Wind Cave National Park via Custer. Custer was another classic western tourist town with rustic shops, motels, and hotels, but they looked much older than the ones in Keystone. A lot more people lived here too. We were trying to keep our day moving in order to have time for a tour at Wind Cave and a drive down the Iron Mountain Road before sundown. Therefore we took the most expeditious route, which was US-16 and US-385. 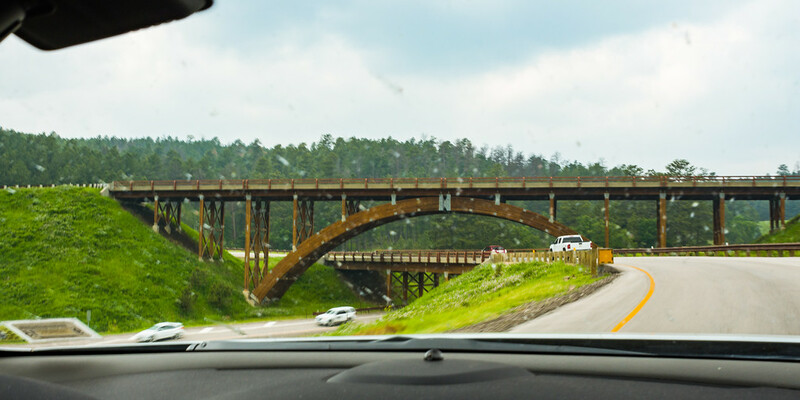 This route passes through less rugged sections of the Black Hills, but it did allow us to catch a glimpse of the Crazy Horse Memorial from the road. I was unfortunately unable to get a good shot of it since it was on the wrong side of the car and the weather was too hazy. As we first arrived at Wind Cave National Park, I noticed another prairie dog town, so Becky pulled off and we watched and photographed them. They really do sound like squeak toys! 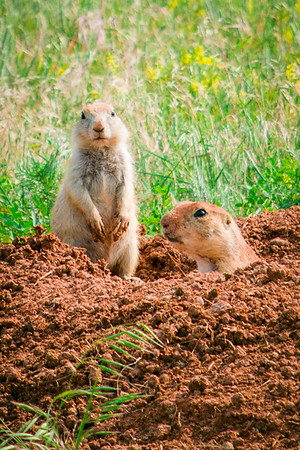 Prairie dogs alert the whole town when dangerous humans are present! 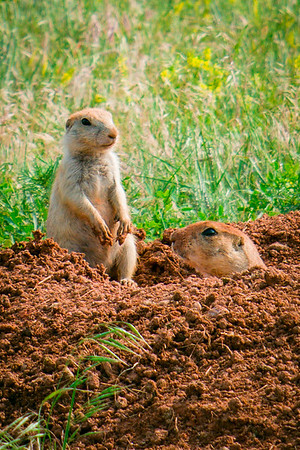 They may look like plain little prairie dogs, but they’ll be HUGE in three upcoming films! You can fight city hall. 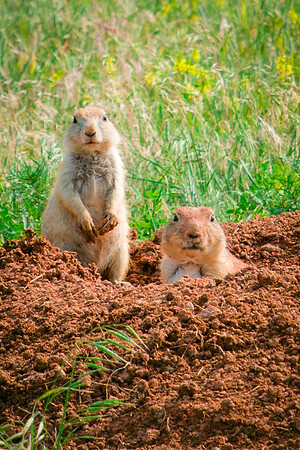 The inspiring true story of two prairie dogs who stop a mayor’s squirrelly plans and save their town. Two underground spies. One mission to dig up the truth. Two dropouts who just want to get out of the hole for once in their life. The drama. The action. The laughs. Opening next summer at a theater near you! We then proceeded to the visitor center, which was rather quiet, as it must have been winding down for the day. We got there just in time to get tickets for the 5 o’clock Natural Entrance Tour, and we got Ranger Mora for our tour guide. Our first stop was down two flights of stairs and out to a tour shelter. There, Ranger Mora got to know everyone on the tour a bit and explained a few details we should know before we got started. When we said we were from the East, she asked if we’d been in any caves where we might have possibly contacted anything with white nose syndrome. 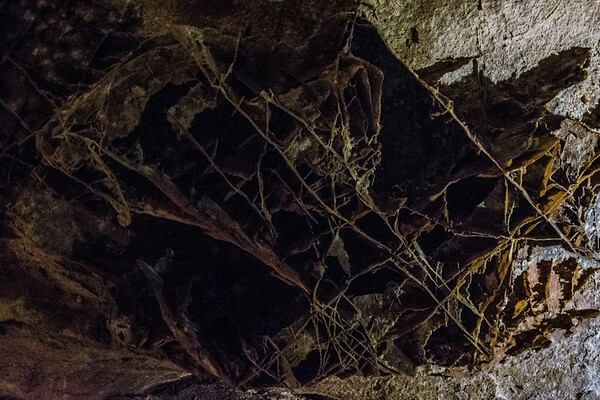 This very nasty fungus is killing bats right and left in the Eastern states. Since we weren’t aware of having been in any caves with our clothes or shoes, we didn’t have to go back and disinfect. It was nice to find out that white nose hadn’t completely spread across the country. 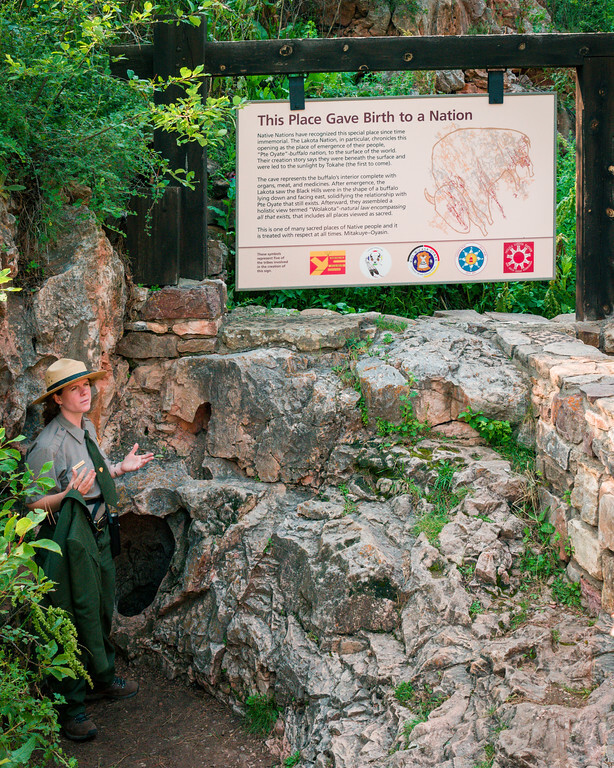 Ranger Mora shares the story of the Wind Cave’s natural entrance…which is the small hole she is standing next to! It’s incredible to think of how early cave explorers squeezed into the world below! After introductions, we proceeded down a path, still on the surface to a rocky patch with a hole just barely big enough to fit an adult through. Before we even got close to the hole, even at 10-20 feet away, you could feel a strong breeze from the hole hitting you as if a giant Dyson fan were blowing air at you! Ranger Mora explained that this was the only opening into Wind Cave for centuries, and that the Sioux believed it to be a sacred place where they emerged from the underworld. So no Sioux ever entered the cave…but early explorers in the late 1800s did all enter through this hole. The wind occurs due to air pressure changes, where the cave breathes in air as high pressure moves through, and breathes wind out as low pressure moves in. 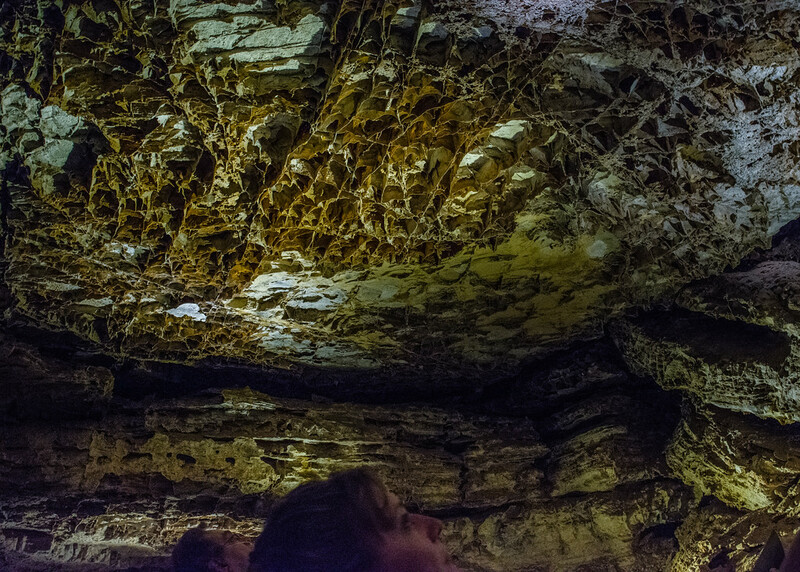 Since fast moving storms are common in Western South Dakota, the cave breathes quite a bit. Our tour group gathers around Ranger Mora in front of one of many passageways in Wind Cave. Becky and I have been to Mammoth Cave in Kentucky, which is the longest cave system in the world. Wind Cave is currently the sixth-longest at 140 miles of explored passages, but it is a three-dimensional maze cave—with passages connecting in every direction, even up and down—with the highest passage density of any cave in the world! Wind Cave has another unique major feature called boxwork. These are thought to be the filling between cracks in the cave rock that were left behind when chemical compounds in the water washed away the rocks that they filled, leaving only the “boxes” behind. Wind Cave features 95% of the world’s discovered cave boxwork, and you literally see the stuff everywhere down here. Along with boxwork, the cave also features a lot of frostwork and popcorn. 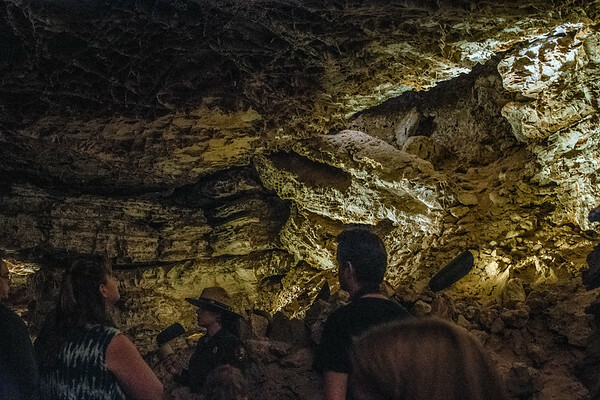 Wind Cave, like Mammoth Cave, is formed of limestone—so some of the features are similar, but this still is a very different cave with its multitude of passages and boxwork. Ranger Mora told us the story of Alvin McDonald, whose family started developing the cave for tourism in the 1890s. Alvin was only a teenager and fell in love with the cave, often exploring alone by candlelight! She told us that he would give tours that sometimes lasted over 8 hours. He was so enthralled with exploring the cave that sometimes he would go off on his own while giving a tour to paying customers—he was so absent-minded that he once forgot that he left a group inside the cave until the next morning, when he realized he needed to go back to get them out! The cave now is very comfortably set up for tours. When entering and exiting the cave, airlocks prevent too much airflow through any but the natural openings. 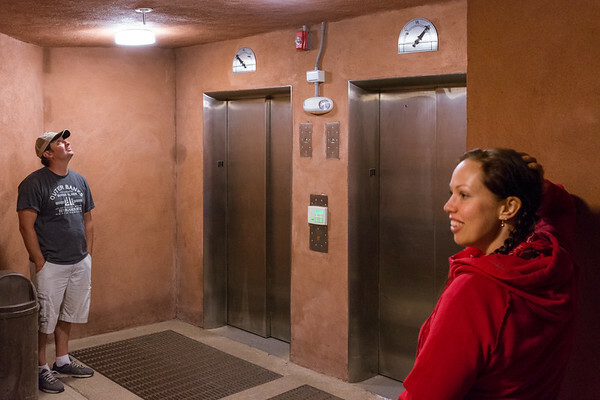 While there were many many steps on our tour, leading to being at least 175 feet underground, there is an elevator that leads out and right back up to the visitor center. Electric lighting illuminates the pathways and stairways, as well as many of the cool formations and upward passageways in the cave. Another big difference I noticed about Wind Cave is its lack of stalactites and stalagmites. Most of the passages and rooms are rather small, and there aren’t any big flows of water, or lakes or rivers that we were made aware of—so perhaps that has something to do with why we didn’t really see any of the incredible formations we’ve seen in Mammoth Cave and some of the other caves we’ve been in. They didn’t talk much about sinkholes either, so maybe there’s a layer of more erosion-proof rock above the limestone that prevents them from being as common. Much of the Black Hills was exposed granite, so this could be what has kept Wind Cave from eroding. There also weren’t many creatures living in the cave. Bats don’t even like it because of the small opening and the wind. Waiting for an elevator back to the top at the end of our tour. Alvin McDonald only wished it was so easy! Two things Wind Cave doesn’t lack are quiet and darkness. We got to experience what early exploration of the cave would be like when Ranger Mora lit a candle and turned off the lights. Once your eyes adjusted, it became pretty easy to see, but it was still a completely different-feeling world than the one electricity revealed. Then she blew out the candle—while she stood next to the light switch mind you—and it was nothing but black and quiet. Wow. Back at the top before we left the visitor center, I saw something about a bison herd, and asked where it had last been seen. The ranger said that earlier in the day someone reported it near the South Entrance. I thought she meant the south entrance to the park, which was several miles in the wrong direction. By pure chance, Becky drove out the south entrance of the visitor center rather than the north entrance we came in on. I directed her onto US-385 going north, and just a few seconds later, we spotted the bison herd! They grazed serenely on a hill about 200 yards away, just hanging out a lot like the black angus cows we’d been seeing the whole trip. It’s no wonder everyone gets lulled into thinking they can just walk up and take a selfie! 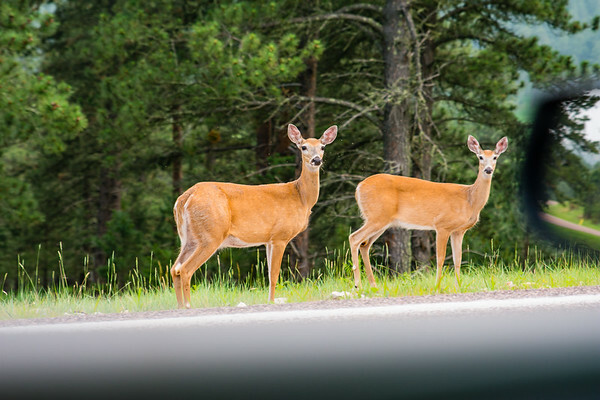 As we drove north, we entered Custer State Park. 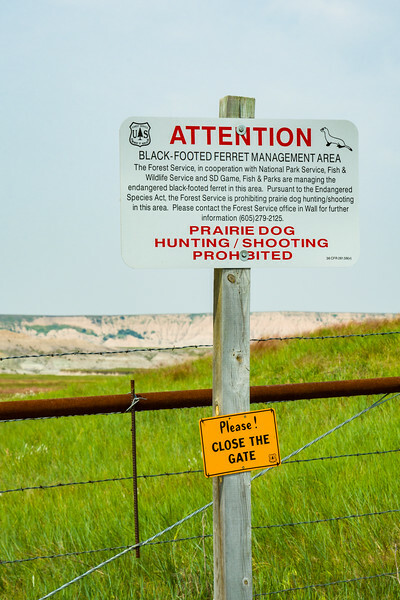 All along the way there were mixes of prairies and forest, with hills and mountains sweeping up toward the sky. We saw a lot of mule deer, prairie dogs, and a few antelope out grazing. 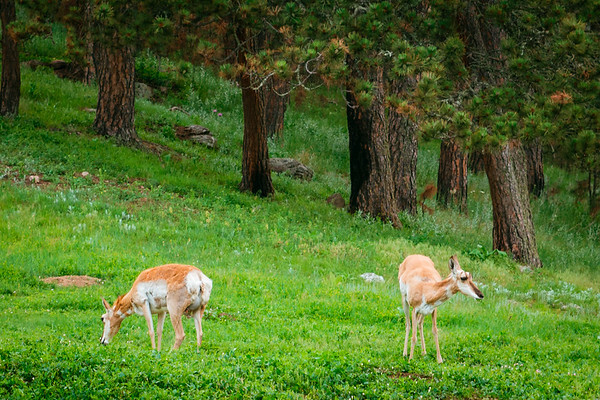 The park was not very busy with people at this time of evening, and from what I know about animals like deer, this is when they usually like to graze. 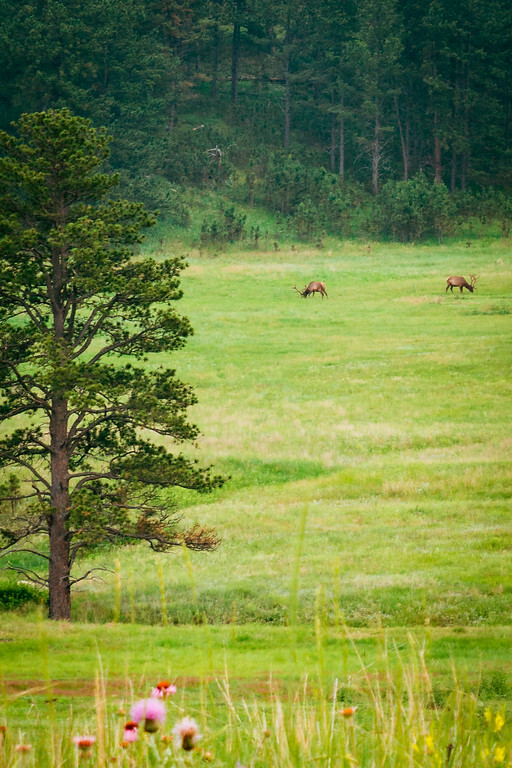 We even saw male elk way off in the distance with their huge rack of antlers. 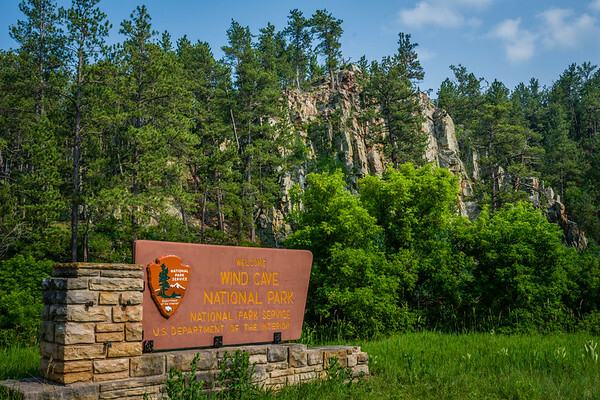 We got to the north end of Custer State Park and picked up US-16A, the Iron Mountain Road. I wish we’d had time to drive the Needles Highway (SD-87), but a friend strongly recommended 16A, so we took it…and it did not disappoint! There were several switchbacks, a few tunnels, and several pigtail bridges, where the road curves around and crosses over or under itself to negotiate a steep drop. 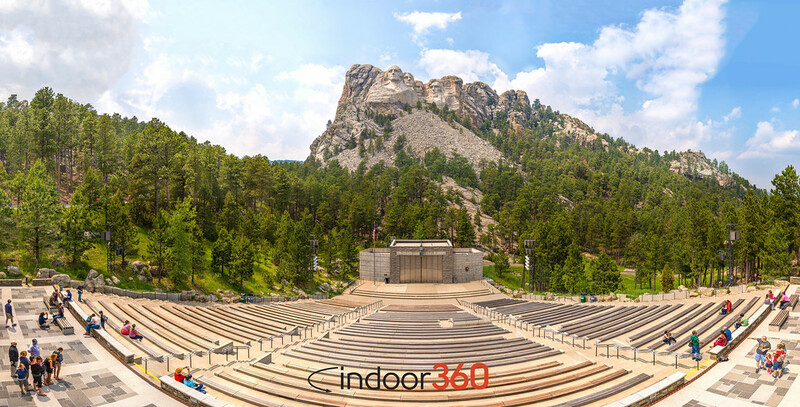 At least two of the tunnels were designed to line up perfectly with a view of Mount Rushmore, which you could also see at the scenic overlook all the way at the top of the mountain. I had never been on a road this elaborately and painstakingly engineered…it was a true work of art! Afterward, it was nearly dark, so we passed again through Keystone and back up the highway to Rapid City. We hit Walmart for a few quick items, and then back to our motel, the M Star Rapid City. The attendant, Dustin, was super duper awesome and helped me find out where a couple of pizza and fast food places were. It was about 10pm already, and Becky and I still hadn’t eaten. Funds were a little tight, so we were happy with something quick and easy…I got Little Caesar’s and Becky got Taco Bell. Then we ate, plugged in a couple batteries, and fell asleep. The end of another day, ready to head out early to Devils Tower and then Cody, Wyoming the next day. This would be our longest day of driving since we left on Day 1, so we definitely needed the rest!